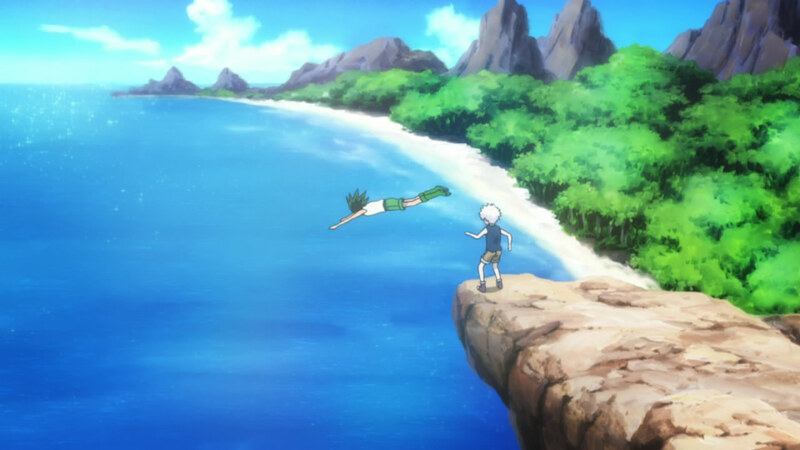 The Episode we’ve both been waiting for and loathing the arrival of, in Episode 104 we cover the final episode of Hunter x Hunter’s 2011 revival, 148 – Past x and x Future. We also reply to your emails, chat about the series as a whole and talk a little bit about the future to come in what few chapters we have of the manga. Ed and Foxy also stopped by Anime on Top this past week to discuss the ending of Hunter x Hunter. Adult Yusuke Urameshi teaching his son how to do the Spirit Gun. This time we’re covering two episodes due to Diego’s Anime Expo appearance disrupting our (new) usual recording time slot. Coincidentally it was also disrupted this past week for some WWE pay per view (also Diego’s fault) so expect next week’s episode to cover two episodes too. Thanks to Tasha/Kurama9 for emailing us again, and the rest of you can feel free to send some dialogue our way. We delve into the two episodes featuring Ging’s (un)fatherly challenge to Gon to come and find him. I don’t hate the Ocean, I swear. This is the place I was trying to remember the name of, and Blue Holes are underwater sinkholes. 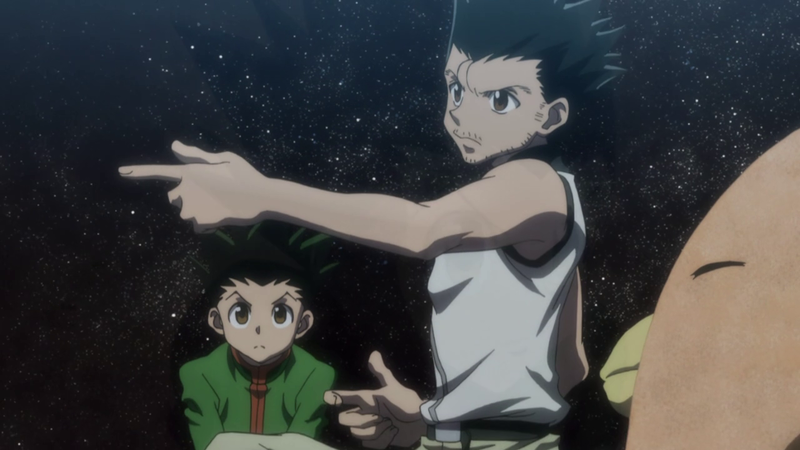 Insert Song – Go on, Gon! All Hunter x Hunter 2011 Soundtrack 2 Everything and all songs are property of their respective owners. This episode is a bit late because our Tuesday recording was canceled after Diego took ill this past week. After a period of getting ill, getting worse, dying and being buried on successive days, we decided the show must go on and recorded on Thursday. 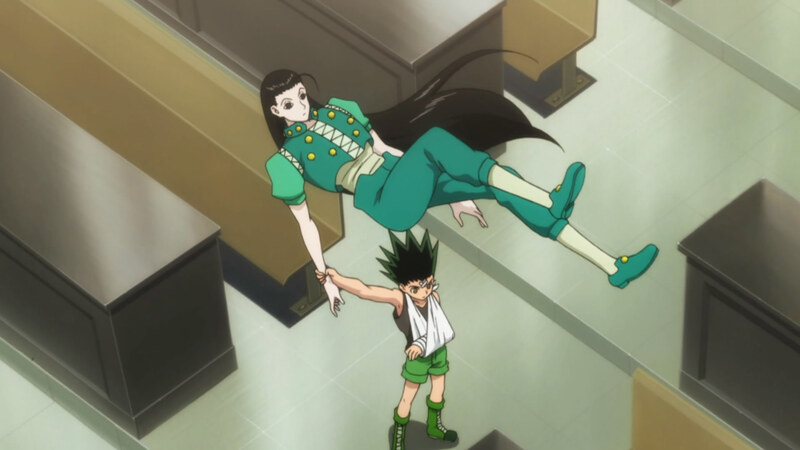 For a guy getting his arm broken, Illumi is awfully carefree. Watch Episode 21 – Some X Brother X Trouble. We make up for our lack of manga theatre by covering Episode 21 and Chapters 337-339 of the manga. I think the show went quite well despite the lack of Diego, don’t you? And no, not just because I did most of the talking. Bullet Beast did some heavy lifting as well. All songs are property of their respective owners.